Speak with Mina and agree to follow her back to Seafolk Village. Speak with her again in her house to begin her trial. This starts with a battle against her. Mina has a Lv. 51 Mawile, a Lv. 51 Granbull, and a Lv. 51 Ribombee. 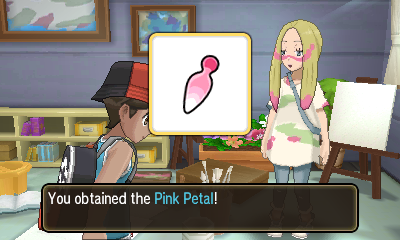 After winning, you'll receive a Pink Petal. Fly to the southern portion of Route 2 on Melemele Island. Heal up, then head east to the graveyard. 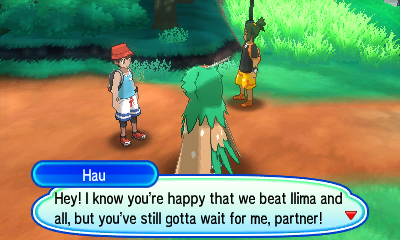 During a cutscene, Hau will give you a Max Elixir. Approach Illima by a gravestone to battle him. He'll have a Lv. 51 Gumshoos, a Lv. 51 Smeargle, and a Lv. 51 Komala. You'll get the Orange Petal for winning. Heal up your team and head to Lush Jungle. 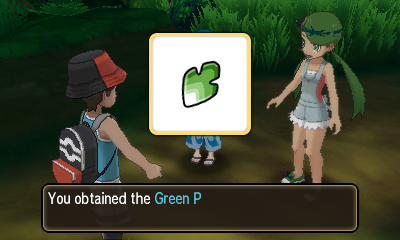 Follow Mallow to the back of this area. 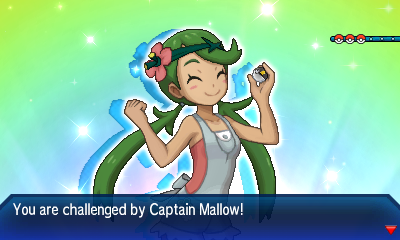 Agree to battle Mallow (Lana in Ultra Moon) here. She has a Lv. 51 Trevenant, a Lv. 51 Tsareena, and a Lv. 51 Shiinotic. After the battle, you'll get both the Green Petal and Blue Petal. Agree to head to Wela Volcano Park with the gals. Speak to the lady to the right of the gate to heal your team. Head north and speak to the Hiker. Kiawe will soon appear and challenge you to a battle. He has a Lv. 51 Arcanine, a Lv. 51 Talonflame, and a Lv. 51 Alolan Marowak. After winning, you'll also need to defeat Hiker David and his Lv. 48 Magmar. 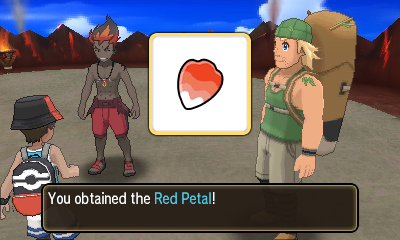 You'll be given the Red Petal for your achievements. Heal up then head into Hokulani Observatory and continue through the doors. 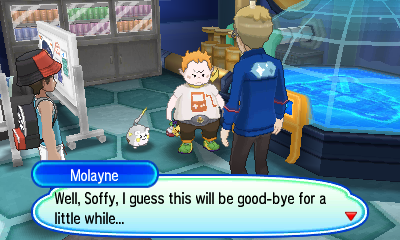 Speak to Sophocles, who will challenge you to a battle (in Ultra Moon, he just gives you the petal). He has a Lv. 51 Togedemaru, a Lv. 51 Alolan Golem, and a Lv. 51 Magnezone. 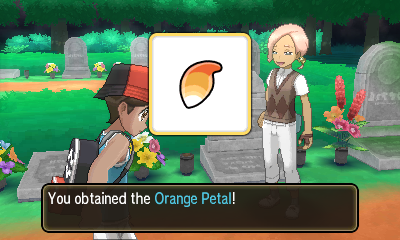 After winning, Sophocles will give you the Yellow Petal. 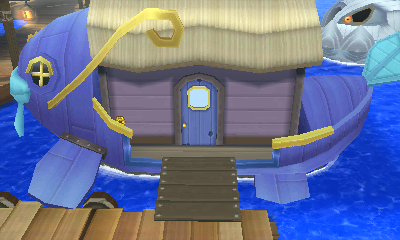 Head to the Aether House and you'll be stopped for cutscene with Guzma and Hau. Guzma will give you a Grip Claw. Enter the house and speak to Nanu. 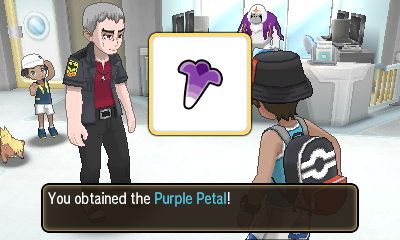 He'll give you the Purple Petal (you'll have to defeat him in battle in Ultra Moon). Heal up and fly back to Seafolk Village. Continue to Mina's house and speak with her once again. 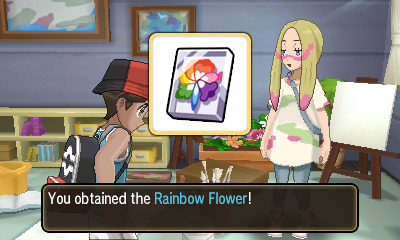 She'll give you the Rainbow Flower and a battle with a Lv. 55 Totem Ribombee will begin. It's a Fairy/Bug-type, so plan accordingly. As always, target it before its ally Pokémon. Afterward, Mina will reward you with Fairium Z. Exit the house for a cutscene. 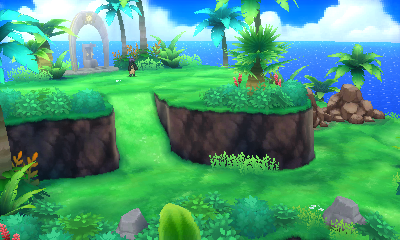 Heal up, then head south on the docks and speak to the man here to go back to Exeggutor Island. 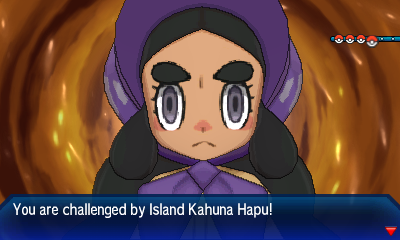 Make your way to the top and challenge Hapu to a battle. She specializes in Ground-type Pokémon, so Water and Grass-type are best. She has a Lv. 53 Golurk, a Lv. 53 Flygon, a Lv. 53 Gastrodon, and a Lv. 54 Mudsdale. 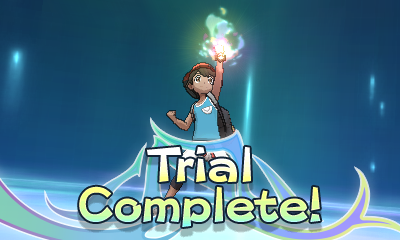 After winning, you'll get Groundium Z and the final Grand Trial will be complete!